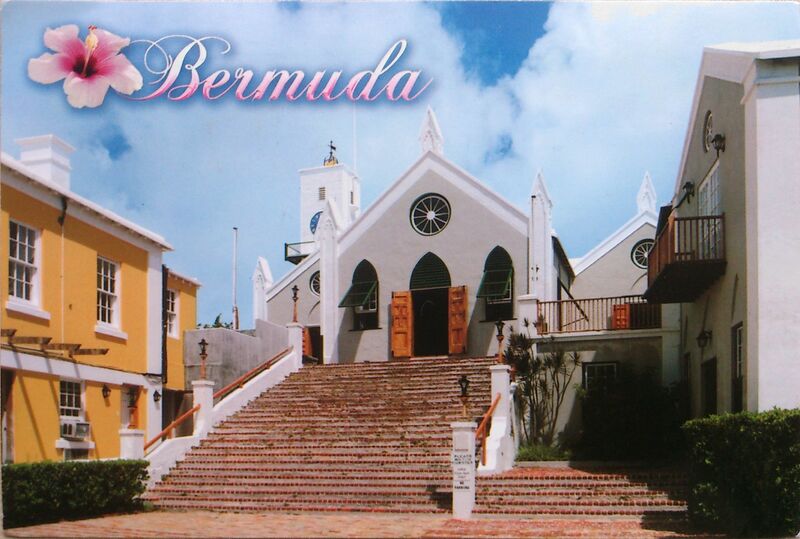 Bermuda is a British Overseas Territory in the North Atlantic Ocean, located off the east coast of the United States. Its capital city is Hamilton. The first European to discover Bermuda was Spanish sea captain Juan de Bermúdez in 1503, after whom the islands are named. He claimed the apparently uninhabited islands for the Spanish Empire. Although he paid two visits to the archipelago, Bermúdez never landed on the islands, because he did not want to risk crossing over the dangerous reef surrounding them. The islands became a British colony following the 1707 unification of the parliaments of Scotland and England, which created the Kingdom of Great Britain. After 1949, when Newfoundland became part of Canada, Bermuda automatically was ranked as the oldest remaining British Overseas Territory. Since the return of Hong Kong to China in 1997, it is the most populous Territory. Its first capital, St. George’s, was established in 1612 and is the oldest continuously inhabited English town in the New World.